Apple Watch disconnected? No problem! The iPhone uses a Bluetooth connection and Wi-Fi to communicate with Apple Watch, and an issue with either of these may cause your wearable to be disconnected. If your Apple Watch is not connecting to your iPhone, there are a few simple troubleshooting steps that will cure most problems and get your Apple Watch paired in no time. The Apple Watch requires at least an iPhone 6/ 6 Plus or more later model. The Apple Watch does not work with the iPad or Android-based devices. The first thing we should do is make sure the Apple Watch is disconnected from the iPhone. It's possible to have a problem with the Apple Watch that mimics not being paired with the iPhone. You can check the connection status of your watch by swiping up on your Apple Watch display while on the clock face screen. This will bring up the Apple Watch's control center which, in addition to having a lot of great shortcuts, will show the watch's connection status in the upper-left corner. A green icon that looks like an iPhone means your Apple Watch is connected to your iPhone. If you're having problems, it's not because the Apple Watch unpaired from the phone. A blue Wi-Fi symbol means the Apple Watch is connected to a Wi-Fi network. This Wi-Fi symbol is the same as the first button on the control panel, which should be highlighted in blue. You can tap this button to turn off Wi-Fi on the Apple Watch, which will force the Apple Watch to attempt to pair with your iPhone. Make sure your iPhone is nearby. If the Watch doesn't pair, continue with the rest of these troubleshooting steps. A red icon that looks like an iPhone means the Apple Watch is disconnected from the iPhone. You should make sure your iPhone is on your person or nearby. If you get far enough away, the iPhone may have problems connecting to the Apple Watch. It is not always a software glitch or hardware failure that causes your Apple Watch to unpair from your iPhone. An Apple Watch not connecting to the iPhone may be caused by something as simple as a setting on your watch or on the phone, so we'll take a look at a few of these that can cause problems. Airplane mode on the Apple Watch. Airplane mode shuts down all communication, which includes the ability for the Apple Watch to pair with the iPhone. Open the Apple Watch's control panel by sliding up on the clock face screen. If Airplane mode is on, the Airplane button at the top of the control panel will be highlighted in orange. Simply tap it to turn Airplane mode off. Your Apple Watch should connect shortly after turning it off. Airplane mode on the iPhone. This acts the same as on the watch; it prevents all communication. You can access the control panel on an iPhone by swiping up from the very bottom of the iPhone's display where the bezel meets the edge of the screen. The button for Airplane mode is at the upper-right corner of the screen, and as with the watch, it will be highlighted in orange if activated. Bluetooth on the iPhone. Bluetooth is essential to pairing an iPhone and an Apple Watch. You can also check the bluetooth settings via the iPhone's control panel. Bluetooth is in the same square as Airplane Mode in the lower right corner of the square (in your iPhone's Control Center). If it is off, the Bluetooth button will be highlighted in white. Tap it to turn it back on and your Apple Watch should pair within a few moments. Now that we've checked some of the basic settings, we'll fall back on the oldest troubleshooting step in the book: rebooting the device. If your Apple Watch won't pair, there may very well be a problem on the iPhone side of the equation. A quick reboot may help you get back up and running in no time. Hold down the Sleep/Wake button on the iPhone until the "slide to power off" button appears. (Alternatively, you can launch the Settings app, choose General and then select Shut Down from the bottom of the general settings). After you slide the button to the right, the iPhone will power down. Once it has been powered down for several seconds, hold down the Sleep/Wake button until the Apple logo appears on the screen. When your iPhone finishes booting up, check your Apple Watch connection. While you can do these two steps in any order, generally it is better to reboot the iPhone and then reboot the Apple Watch. This helps ensure there are no lingering problems on the iPhone when the watch boots up. First, hold down the button on the Apple Watch just below the crown. When prompted, slide the Power Off button to the right. After the display is dark for a few seconds, click the digital crown to power the Apple Watch on again. The Apple logo should immediately appear on the screen. If not, wait a few more seconds and click the button again. Rebooting the devices should solve most problems when your Apple Watch won't pair. If you are still having problems, it is time to to dive into some deeper troubleshooting steps. It's a good idea to make sure you're on the most current version of your iPhone's operating system, especially before troubleshooting steps that require deleting information from the device. You can check your version of iOS by launching the iPhone's settings app, choosing General and tapping Software Update. You will be prompted to Download and Install if there is a more recent version of iOS available. Unfortunately, you cannot check your version of WatchOS when the Apple Watch isn't pared with the iPhone. The iPhone stores information about all connecting networks to make reconnecting a smoother process. It's also possible for this data to become corrupted, which can keep an iPhone from connecting to an Apple Watch. Resetting this information means you may need to log in to your home Wi-Fi network again, so be prepared by ensuring you have the password handy. Launch the iPhone's Settings app. Scroll down and choose Reset from the general settings. Tap Reset Network Settings. You may be asked to type in your passcode to verify your request. My Apple Watch Won't Pair: What's Next? Still not connecting? This last step is to reset the Apple Watch, which will cause any data on the Apple Watch that hasn't been backup up to be lost. This is why we save it for last. 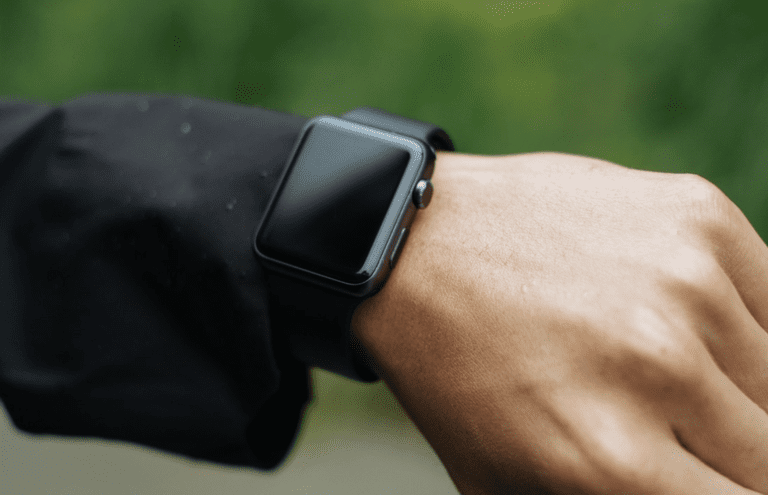 However, you should be able to restore most of your Apple Watch's data from the most recent backup after unpairing and then re-pairing the Apple Watch and the iPhone. The unpairing process will erase all data on the Apple Watch. When finished, you will set up the Apple Watch just as you did when you got it out of the box. This step should solve most problems. Choose the My Watch tab at the bottom of the screen. Select your watch at the top of the display. Tap the Information button next to the watch. Is is the button with the small "i" and the circle around it. Choose Unpair Apple Watch and then tap again to confirm. If you still have problems pairing your Apple Watch to your iPhone after following these steps, it is time to contact Apple Support. The Apple Support phone number is 800-692-7753. You can also schedule an appointment at the Genius Bar at any Apple retail location.